Invites everyone to join them tonight for “A Night in Greece”! The Annual Bid n’ Buy is the Philoptochos’ primary fundraiser of the year. 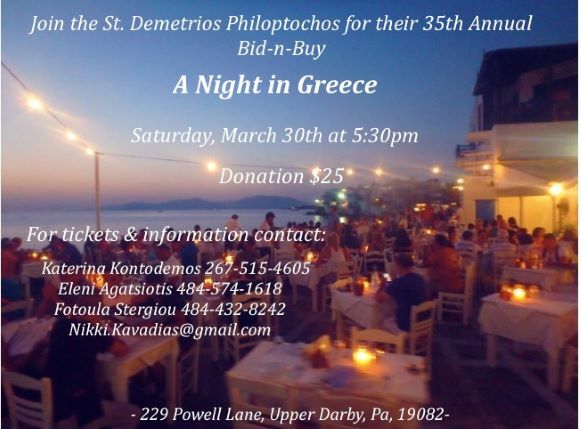 Proceeds from the Bid n Buy benefit the ministries and mission of the Ladies Philoptochos “Agia Barbara” to assist those in need.